As a result, brands are taking a streamlined, efficacious approach to skin care by offering multitasking creams and serums that address a variety of concerns, from dry skin to wrinkles to age spots. However, many experts agree that a well-balanced concoction of peptides, hyaluronic acid, antioxidants, and retinol (if tolerated) can work for uncomplicated skin types. “An advantage of using a multitasking product is that you know that the combination of active ingredients is stable, as opposed to combining multiple products and not knowing whether they potentially inactivate or block penetration of each other,” says Dr. Joshua Zeichner, director of cosmetic and clinical research at Mount Sinai Hospital. 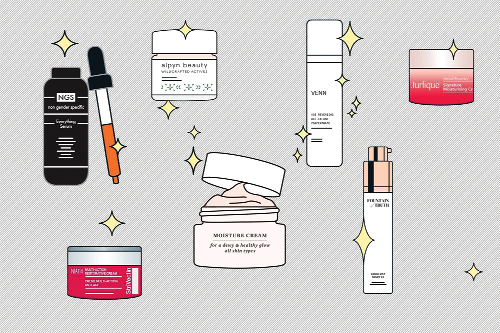 Our panel of tired, wizened journalists tried out more than a dozen products and found the best.